Watch the Video "The Madness of Brahmacharya, Shekhar Kapur with Sadhguru"
Acclaimed film-maker Shekhar Kapur walks with Sadhguru through the Isha Yoga Center in India, and seeks to understand what the significance of brahmacharya or monkhood is. Acclaimed film-maker Shekhar Kapur walks with Sadhguru through the Isha Yoga Center in India, and seeks to understand what the significance of brahmacharya or monkhood is. Sadhguru explains that a brahmachari is someone who has had a taste of the ultimate, and now they want it all! He explains that someone on the path of the ultimate doesn't divert attention to things someone else thinks is important. Shekhar Kapur: So, Sadhguru, it’s… that’s very powerful inside. I just walked inside into… into the space where all the brahmacharies are chanting. There’s something special about their chants. It’s kind of… it kind of hits you right here (Gestures). It’s kind of energizing and power. So, what is it? What’s a brahmacharie? I mean, we understand in Hinduism, brahmacharie means denial, and you often said it’s not about denial, it’s about gaining something without denying anything. So, tell me about it. 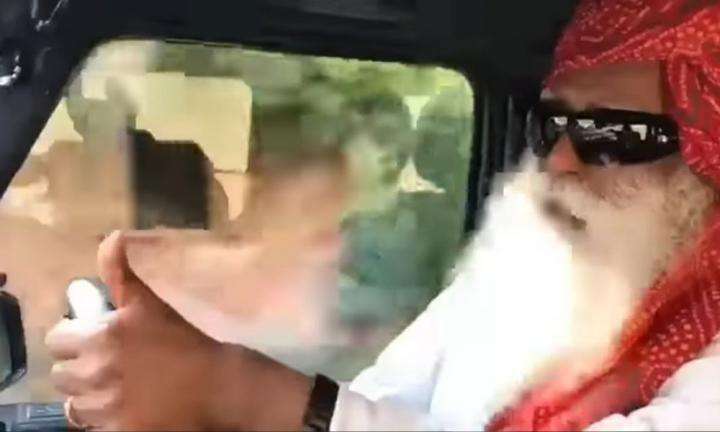 (Sadhguru Laughs) And I have to say, they’re both men and women in there. There… it’s not like, they’re not like monks, where all the women would be put up in a nunnery, and the monks are in some monastery. It’s… they’re all there. Sadhguru: …sitting with your wife, enjoying the siesta, having dinner with them, with the family, are you doing all this? Everything you deny yourself because you want to create something, isn't it? Isn't that true with every man or woman who has created something worthwhile in their life? The same with brahmacharya. They are on the path of the ultimate – because of that, their attention is not diverted to other things that people think are valuable. Shekhar Kapur: So, what’s the ultimate? Sadhguru: (Laughs) See here, if you look around, there’s brick and stone, or rather mud and stone and trees and plants – this is Creation. But now if you look at this, from the same soil this tree is coming, throwing out – right now there’re no flowers, but it throws out wonderful, fragrant flowers. From the same soil, a mango tree will come and throw out mangoes. From the same soil, you have come and making movies (Laughs). From the same soil, I have come, and I’m a guru. So, there is something here which can make this mud into a tree, into a fruit, into a filmmaker, into a guru and into a billion other things. Don’t you want to know what it is? Don’t you want to experience what it is? And if it was somewhere in heaven, I’m not interested. But, if you eat a banana, that banana becomes a human being within you. There is something here (Referring to oneself) which can transform a rice grain or a banana or a piece of bread into a human being. This is the ultimate source of Creation. Sadhguru: Don’t you want to know what it is? Don’t you want to experience? Don’t you want to know the power of it, the beauty of it, the joy of it? So, these are people who have had a taste of that, and now they want all of it. They don’t care whether they eat or not. They don’t care whether they drink, smoke and enjoy other simple physical pleasures that other people are addicted to. They have had a taste of the ultimate, now they want it all. They won’t settle for anything less. Shekhar Kapur: Okay. Now, I understand that till you experienced it, it’s… it’s an experiential… sensation, or more than as a sensation. Talk about the ultimate. What is the ultimate? Shekhar Kapur: So your work is to drive people mad? Sadhguru: Because… because if people sleep through their life, in the name of comfort, in the name of security, they’re wasting their life. They must go all the way. This is not my desire – it’s their desire also, because today you have a desire to fulfill this. If that happens, you want the next one and the next one and the next one. If you carefully look at your desiring process itself, you will see you’re not willing to settle for anything limited, isn't it? There is something within you which doesn’t like boundaries. There is something within you which is longing for the ultimate always. So this is not my idea, this is not my philosophy that you should seek ultimate. You’re anyway seeking ultimate in unconscious ways. I’m saying if you seek in unconscious ways, you will always remain frustrated and the chances of finding it are remote. It’s better to seek what you want in a conscious way, in a focused way. So, brahmacharies are those people, they are also seeking just what you’re seeking but they are seeking it one hundred percent consciously. 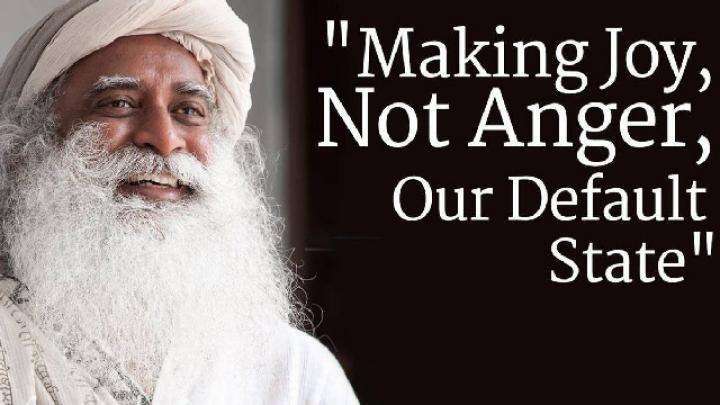 Sadhguru: Okay. What is ultimate? See, whatever we look at, we can only look at the way you understand it right now, okay? If I say something which is not in your understanding, now I’ll be compelling you to believe me or disbelieve me. I don’t want to go into such obscenities. I think it’s obscene to demand that you must believe me. I’ll never do that to anyone. So, right now, in your life, do you see that you… when you stand here, what you call as ‘myself’ actually you gathered over a period of time? Sadhguru: …it’s a huge heap of impressions. In terms of your body, it is a heap of food that you have eaten. So, you gathered this. What you gather can be yours – can it ever be you? 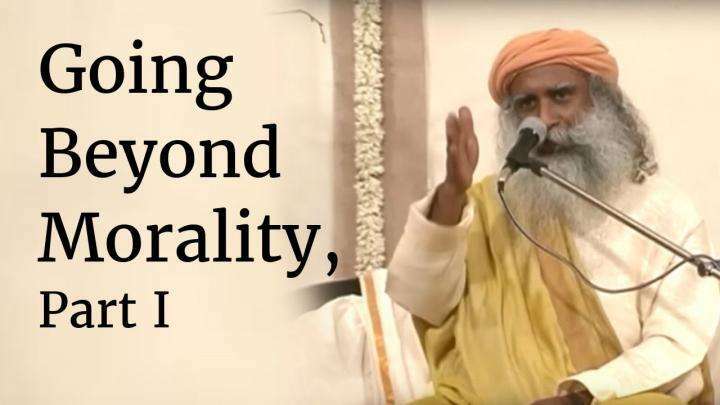 Sadhguru looks at how there is no anger in society. Individual human beings get angry.